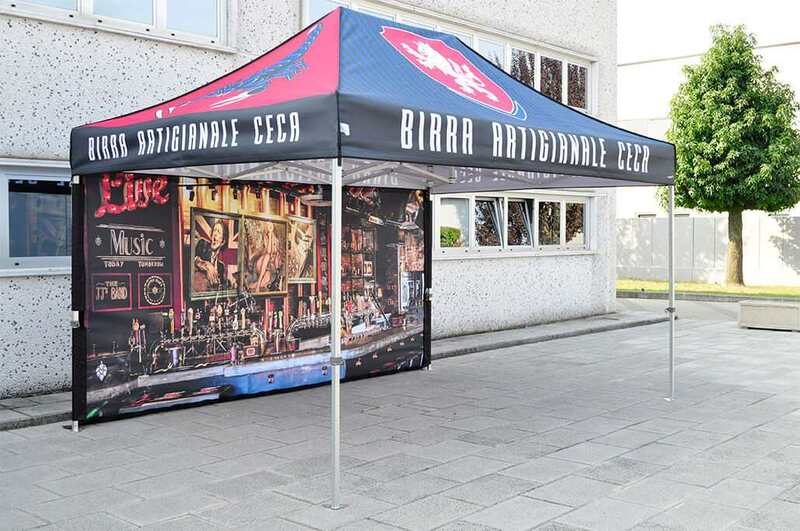 Your company's visibility is important, drawing attention to you is crucial to having a first-time contact with the customer in a highly recognizable way. 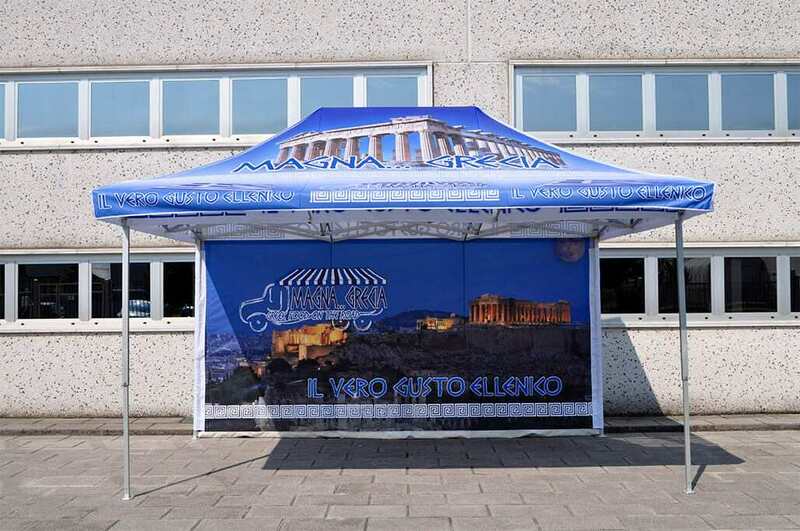 Investing in a personalized gazebo means buying a long lasting promotional value that affect your customers right when they can meet you and get in touch with your business reality. 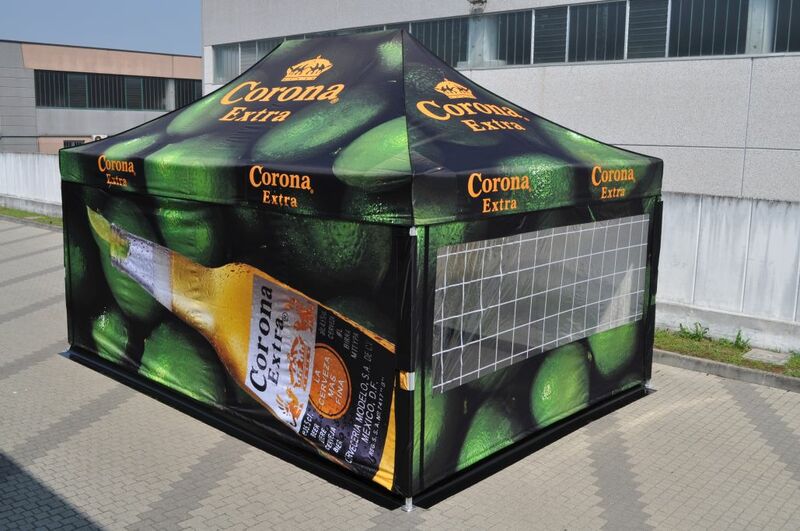 A promotional element that will follow you at every business event. 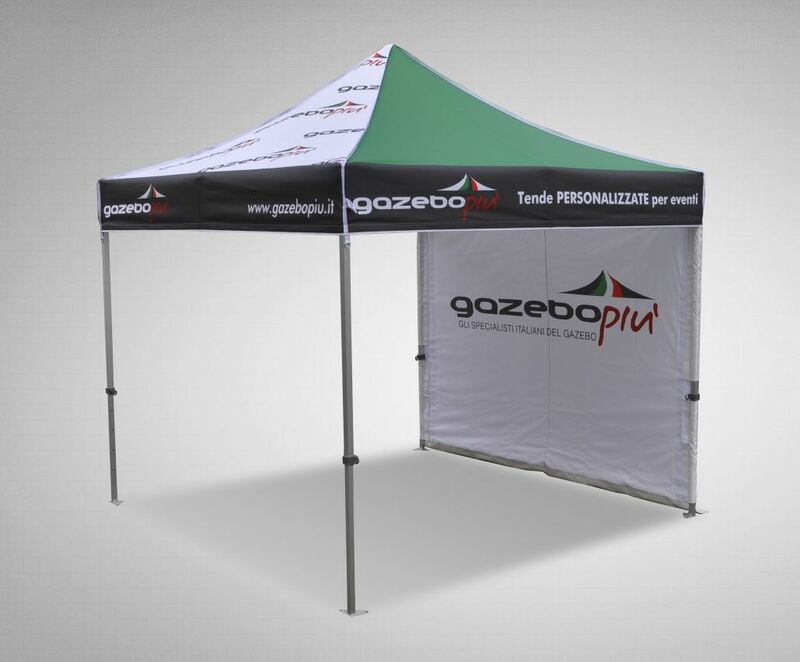 To begin the production of your gazebo, just communicate to Gazebopiù the chosen gazebo structure and the different requests of the project: how you imagine it, which will be its intended use... 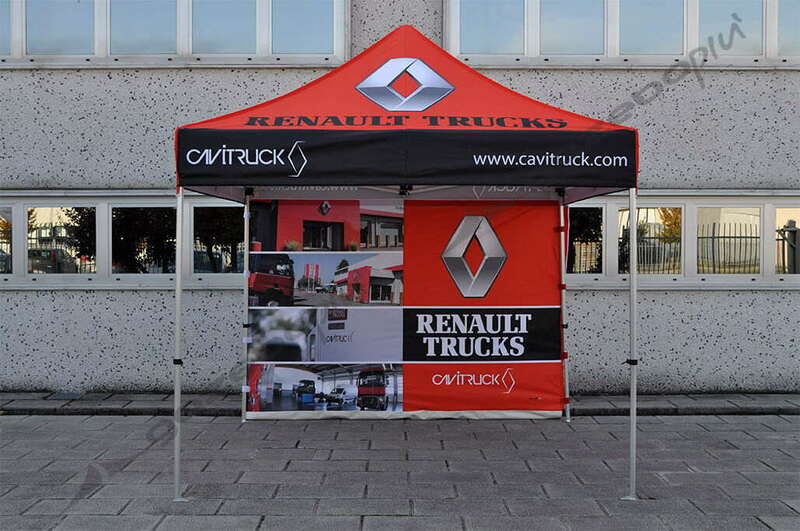 Along with these data, you'll can supply Gazebopiù logos or images you want to include, in vector format (Adobe Illustrator ® or EPS), or in good quality PDF format. 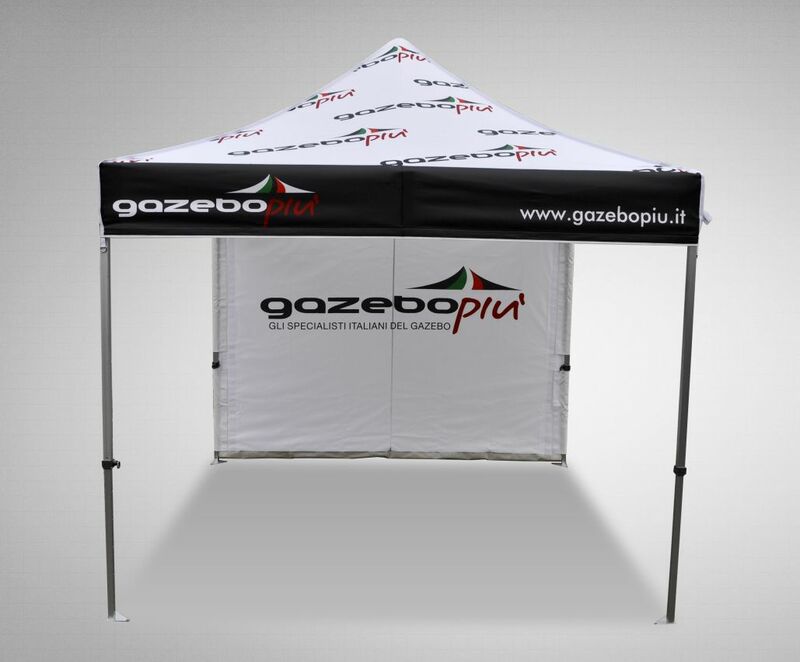 Gazebopiù logo used as an example, as if it were your logo. Step one: Provide your logo in vector format or PDF format. 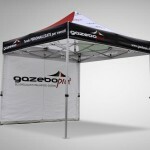 Presentation of the graphic draft of your custom gazebo. Along with the draft, we will send you a realization quotation, technical specifications and delivery terms. 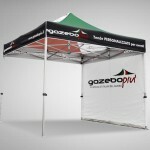 Communicate to Gazebopiù any desired changes compared to the draft presented, or the compliance of the draft. 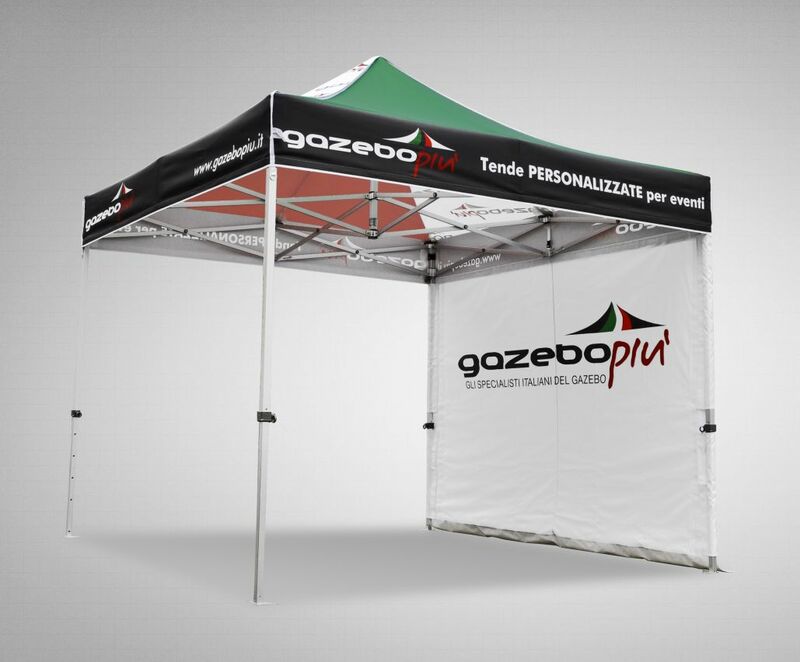 The end of this phase is the definitive confirmation of the project: once the client has accepted, Gazebopiù will proceed to the print! 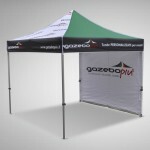 Production of the custom gazebo: we do everything internally, for this we are so convenient. 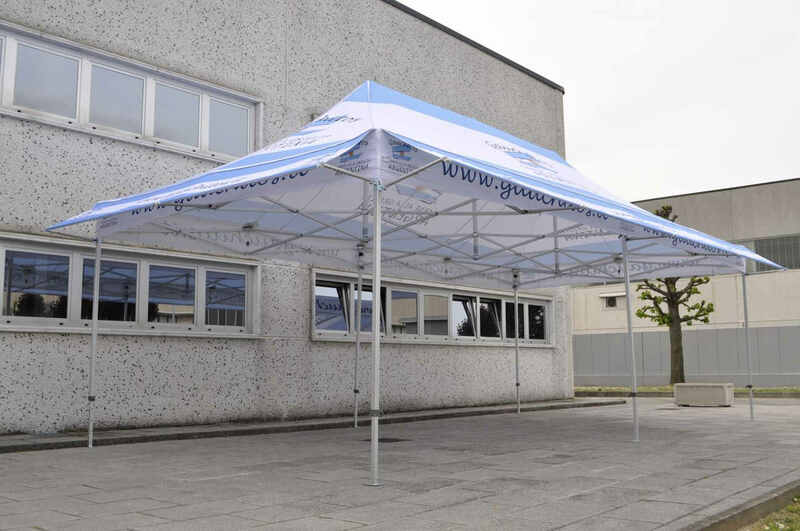 Once the custom gazebo has been produced, it will be ready to be picked up at the Gazebopiù head office or shipped to the location indicated by the customer. 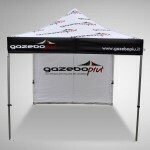 Take a look at this small gallery of our Gazebopiù customized gazebo! 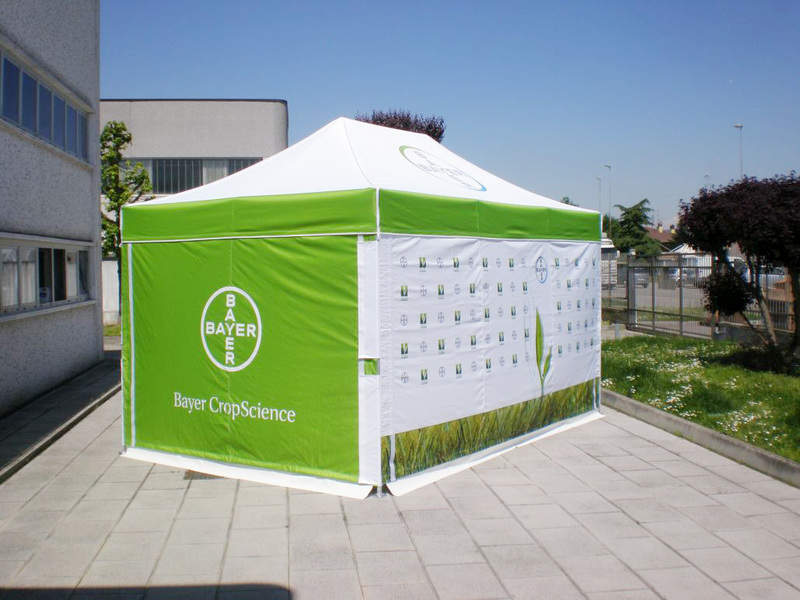 We do not think a gazebo is just a delimited sheltered area but also an important communication tool, symbolic and emotional. Our cooperators focus their attention on customer’s requirements converting the required customization into images and symbols. 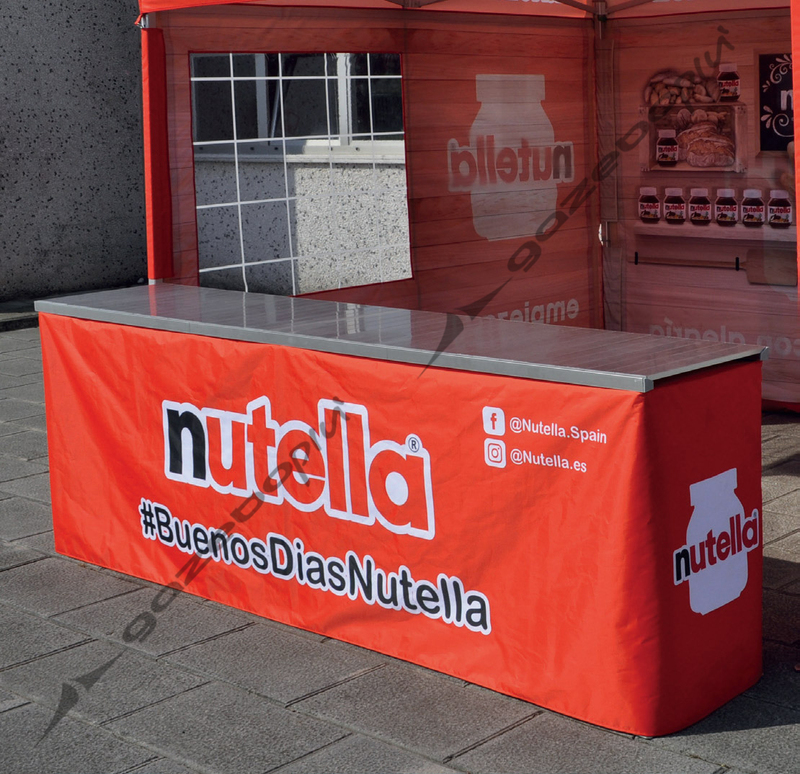 Nowadays the immediate way of advertising and easily promoting an event or a business is printing. 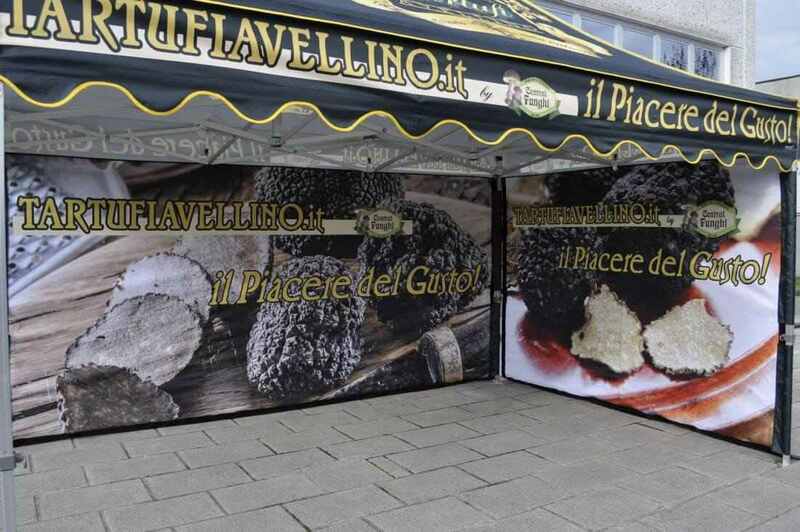 for images and complex graphics the digital printing is recommended. Manufacturing is the flagship of our production department, the place where experience and craftsmanship merge to realize “Made in Italy” craft products. The years of experience in the textile sector has led to a vast knowledge of materials, yarns and production processes. 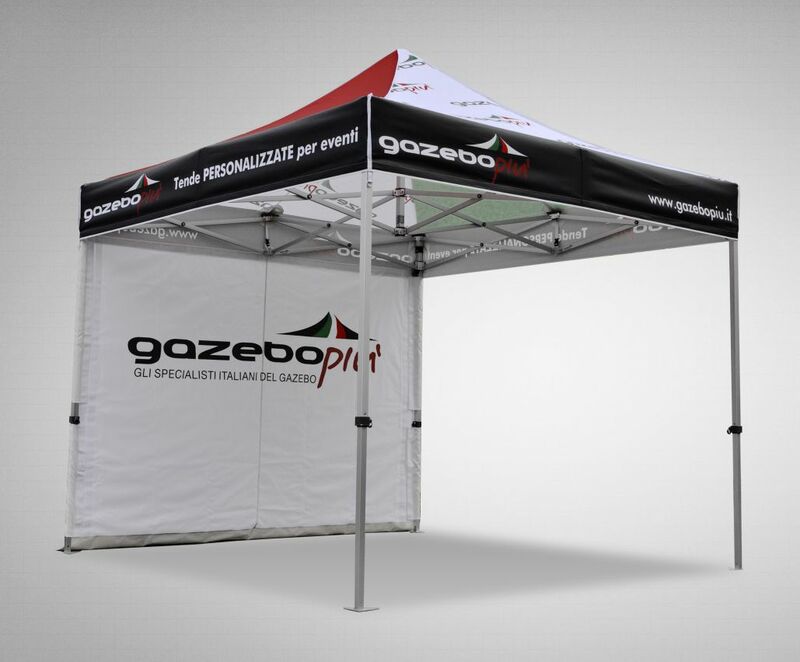 Each material used for the gazebo manufacture is carefully tested and controlled to grant a perfect product. 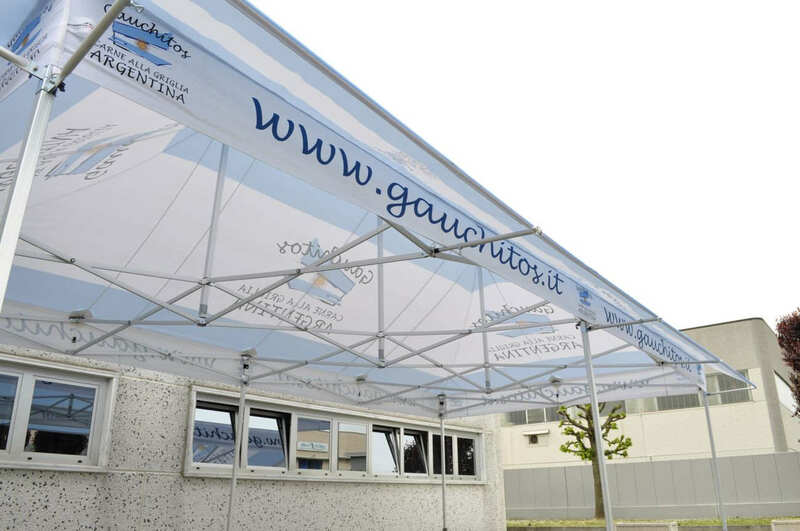 The attention we put into the cut and seam of the fabric, and the use of modern and sophisticated machines, ensure the highest of quality which gives the Gazebopiù trademark a relevant position in the market.. 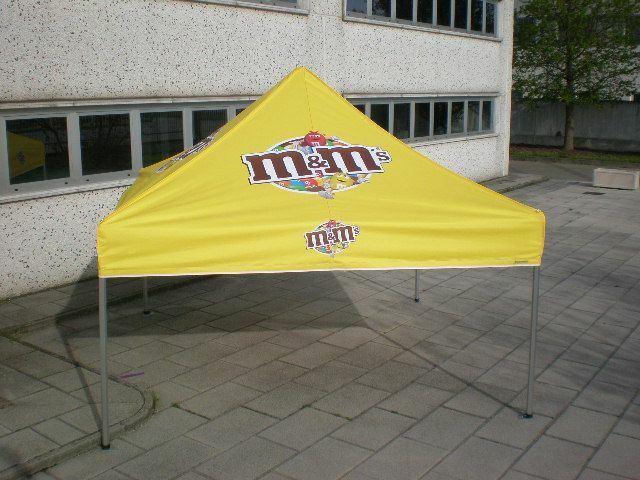 This is the customization process used to print the entire surface of a tent. This method also allows us to print brand names, logos and complex images with the best resolution to render a high graphic impact. 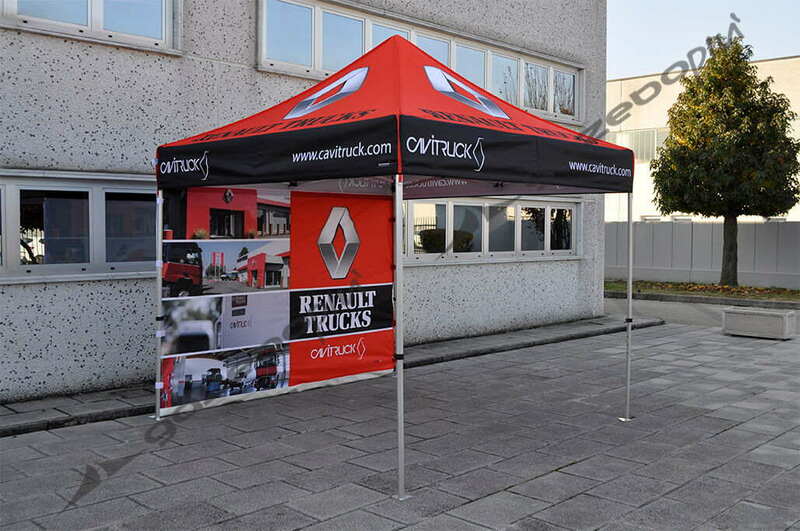 Therefore, it acquires a remarkable advertising value, ideal for standing out from competitors and presenting yourself clearly to your customers. 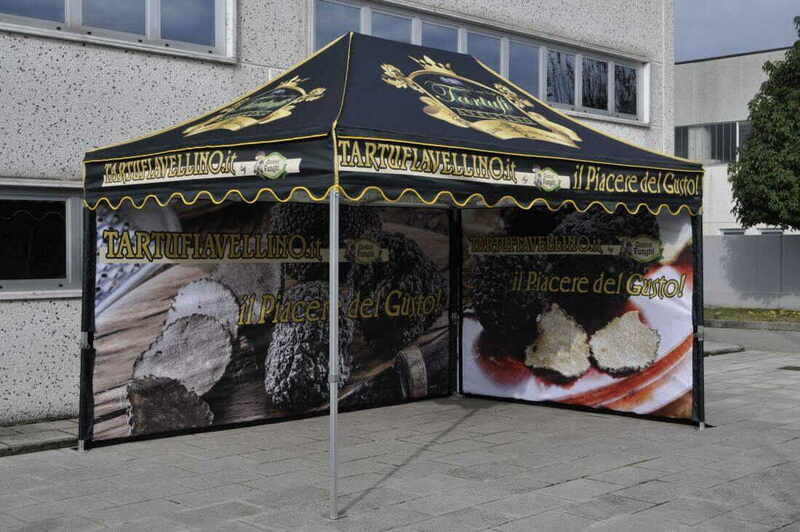 Whether it is street food, sports associations or competitive team activities, presenting yourself at events with your own customization is essential. 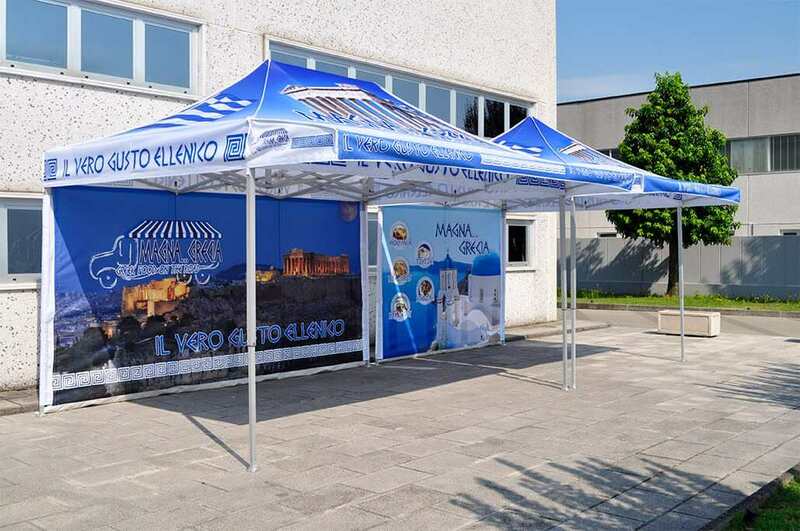 The Gazebopiù digital printing process allows you to print any logo, picture or design in four-color printing with almost photographic quality. If you are undecided about the most effective personalization for your business or what you would like to send to your customers, our graphic department will be ready to guide you to accomplish your ideas, regardless of your company. 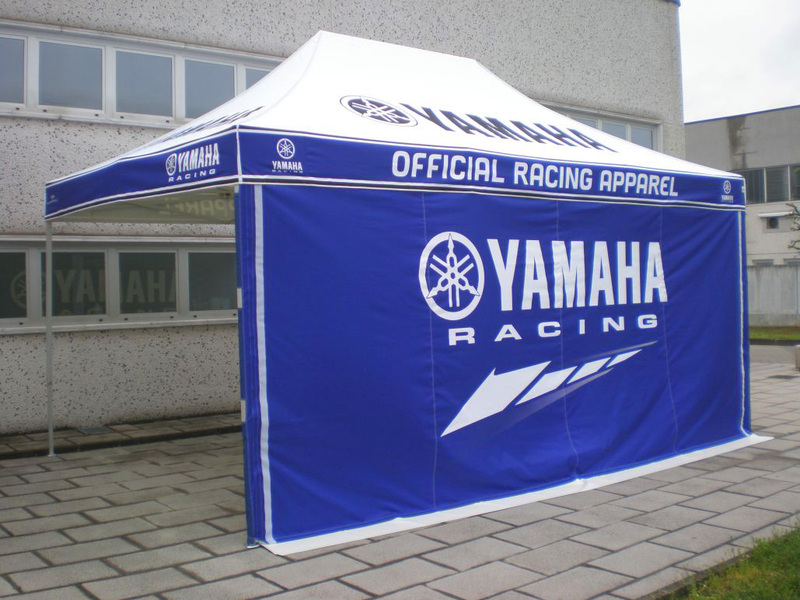 The basis of all of our projects is a personalized fabric with high performance graphics, printing and resistance. 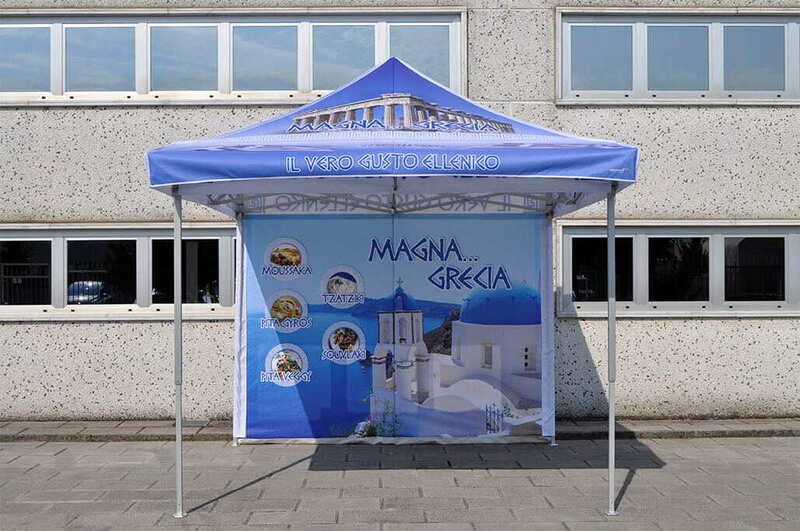 If you do not require to print the whole of the surface of your tent, then we have achieved an alternative solution for you. 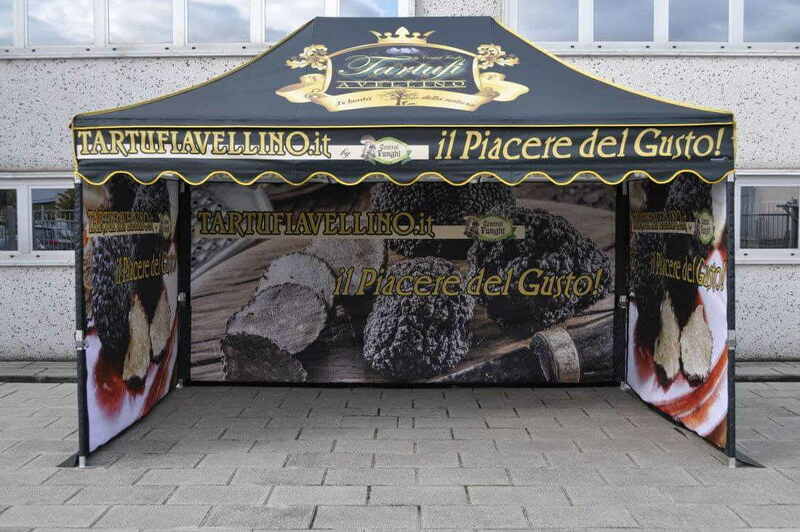 This process, which is more localised than compared to digital, is used to print on valances and allows small, high quality detailed coloured prints. The base colour of the curtain fabric will be chosen based on the colours of our two lines. This type of printing acts as an overlay, coordinating your graphics with the base colour producing a definite and precise result.